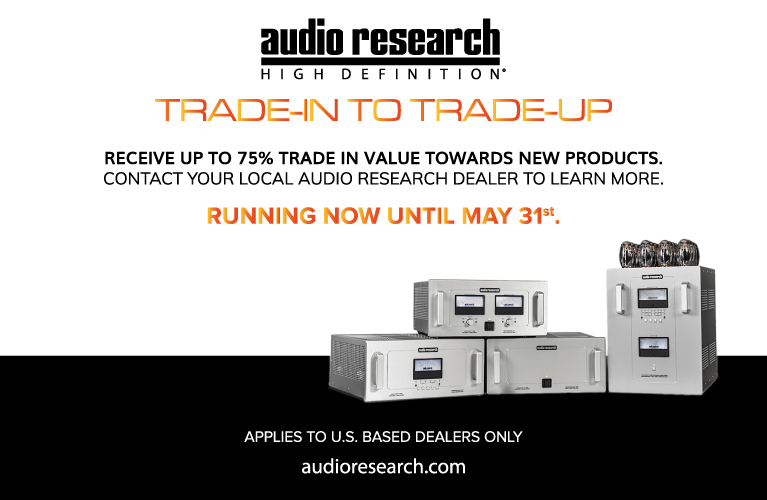 Silverline Audio, based in Walnut Creek and Concord, California, are best known for their several lines of loudspeakers (they also make interconnects and speaker cables). 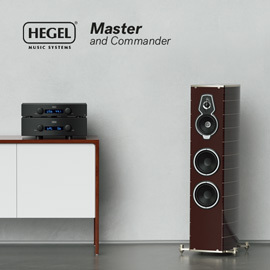 Their current speaker lineup includes seven stand-mount models, two center-channels, and six floorstanders, with prices ranging from $699 to $35,000 USD per pair. 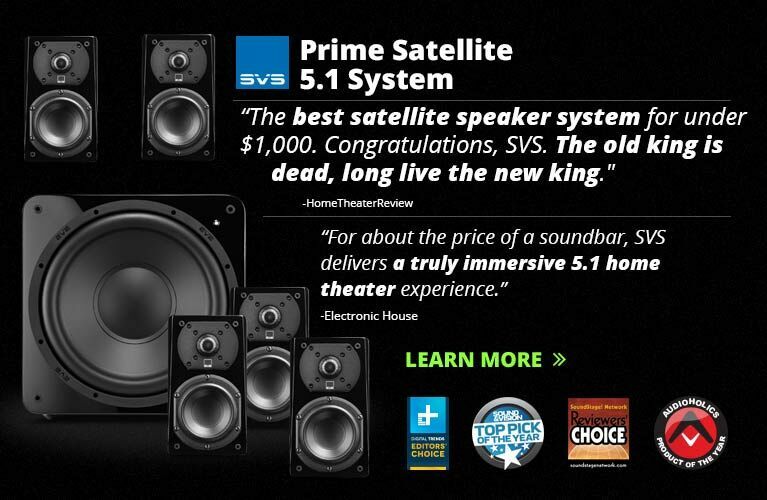 Silverline states on their website that “Our loudspeakers are not made just for great sound, but are intended to be associated with the finer things in life. 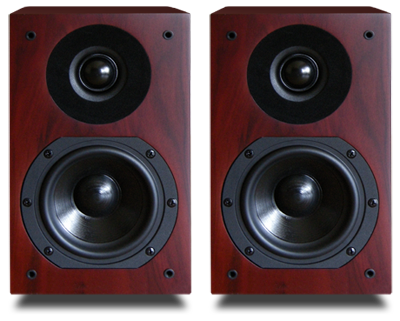 Our loudspeakers are made for those who are concerned with aesthetics as well as sound.” Indeed, as I unboxed my review samples of that lowest-priced model, the Minuet Supreme Plus ($699/pair), the first thing I noticed was how good they looked and felt. A SoundStage! Network factory tour in 2006 pointed out that Silverline maintains close relationships with a number of nearby cabinetmakers, whom they hire to build their enclosures. UPS had dropped off the Minuet Supreme Pluses by the time I got home, and at first I thought they’d delivered only one of them. But that single box held both speakers, which are tiny -- half the size of my current speakers, Wharfedale’s Diamond 8.2, and even a bit smaller than my M-Audio Studiophile DX4 computer speakers. Each Minuet measures only 9”H x 5.5”W x 9”D and weighs less than 9 pounds -- it’s the smallest speaker offered by Silverline, and the only one costing less than $1000/pair. 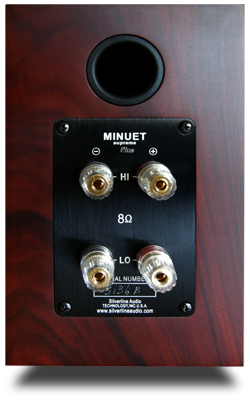 While sold in pairs, the Minuet Supreme Plus can also be used as part of a multichannel array with the LCR center speaker. I listened to them as a stereo pair. My Minuets came finished in Silverline’s Real Rosewood veneer, and the fit and finish were excellent: seamless and well made to tight tolerances, with no sharp edges or corners, and attention paid to the finish. The cabinet surfaces perfectly meshed with the bass port and drivers. Resembling good-quality furniture more than electronic equipment, the Minuets would be welcome in any room. The Minuet Supreme Plus is a two-way speaker with a 1” silk-dome tweeter and a 3.25” midrange-woofer with a pulp-paper-cone. The bass-reflex port on the rear panel, just above the binding posts, requires that the speakers be installed somewhat out from the walls and corners of the listening room. The Minuets came with their black cloth grilles attached; I left these on. The gold-plated binding posts support the usual connection types and have separate terminals for the low- and high-frequency drivers, making possible biamping and biwiring. For single wiring, Silverline packages and pre-installs metal plates (jumpers) to connect the pairs of terminals. 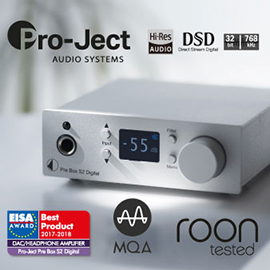 With the jumpers installed, connect your amplifier to either terminal of the appropriate polarity. The very robust binding posts, which are tightened using the attached plastic-insulated thumbscrews, are big enough to permit the secure installation of larger banana terminations, which don’t always properly fit the posts of lower-priced speakers. Silverline claims a frequency response of 55Hz-28kHz, a sensitivity of 88.5dB, a nominal impedance of 8 ohms, and a crossover frequency of 3500Hz -- but as no information was provided about how these measurements were taken, these specifications are of little use. To my ear, the Minuet Supreme’s amplitude rolled off perceptibly well above 55Hz. For my listening, I removed the jumpers and biwired the Silverlines with spade terminations. I placed the speakers about 3’ away from the room’s corners, on 28”-high, sand-filled Target FS stands, angled toward my listening position and balanced with a sound-pressure-level app. The result looked a bit odd -- these minimonitors are narrower than my stands’ top plates. The general rule is to try to have the speakers’ tweeters approximately at ear level when you sit down to listen. On the Target stands, the Minuet Supreme Pluses’ tweeters were about 5” lower than those of my Wharfedales, for which my room is configured. Slouching down in my listening chair brought me closer to the ideal height -- but at 10’ from the speakers, which were about 9’ apart, a few inches’ difference in ear height made no difference in the sound. In any case, I probably don’t sit fully upright for extended listening sessions. Given this speaker’s name, I began my listening with a couple of minuets for cello and harpsichord by J.S. Bach. A minuet is a lively dance that became popular in France and French-influenced courts in the late baroque period. These are typically played by solo instruments or small chamber ensembles. Minuets tend to be delicate and not apparently complex; the listener should be able to hear each instrument -- and every flaw in the sound. The Menuett I of Bach’s Suite No.1 for Unaccompanied Cello combines melodic lines with a resonant chordal structure in a way that the very next movement, Menuett II, does not. I could hear in Yo-Yo Ma’s Grammy-winning first recording of this suite (CD, CBS Masterworks M2K 37867) the interactions of the fundamentals and their harmonics as different pitches resonated over each other. The Minuet Supreme Pluses conveyed Ma’s instrument in a tight image that approximated the size of an actual cello. In the past I’ve been disappointed by loudspeakers that create an unrealistic image, particularly by supersizing solo acoustic instruments. The little Silverlines provided such resolution that I was able to hear the particular characteristics of each of the cello’s four strings -- the same pitch sounded different when played on different strings, as it should. Ma’s technique produces a rich, smooth tone, and tightly articulated trills whose details I heard clearly. Some of the upbows sounded a bit bright, which is perhaps to be expected from a digital recording made in the early 1980s; the Silverline’s reproduction was honest in this regard. This recording has considerable dynamic range, from very quiet to medium loud, with some of the changes being rather sudden. The Minuet Supreme Plus had no problem keeping up. On the negative side, after listening, I couldn’t hazard a guess as to what sort of space Ma had been recorded in. Perhaps the instrument most associated with the baroque period is the harpsichord, which, unlike the piano, plucks rather than strikes the strings. It fell out of favor with the development of the fortepiano, the instrument for which Mozart and Beethoven wrote so many works. The harpsichord produces a very distinctive and uniform waveform. While a piano has “touch sensitivity” -- the harder you strike a key, the louder the sound -- the amount of force with which a harpsichord key is struck makes little difference in that note’s loudness or speed of attack. As the key is released, the string’s vibrations are damped by a piece of felt. Each of these characteristics was clearly reproduced by the Minuet Supreme Plus. Harpsichord recordings tend to sound bright. The instrument in Eleonore Buhler-Kestler’s recording of the Menuet of Bach’s Partita No.4 in D Major has a very percussive yet delicate sound (16/44.1 FLAC, Charade/eClassical). At several points, a hesitation can be heard -- I could actually hear the plectrum scraping against the string before and after plucking it. This extreme resolution was ear-opening -- I hadn’t before noticed that detail. But as revealing as the Minuet Supreme Plus made this recording, the upper frequencies never became too bright or brittle. The sound was thoroughly enjoyable. In a 1999 interview, Silverline’s owner and designer, Alan Yun, described his process: “Get the midrange right . . . I start with the midrange and work outward toward the frequency extremes.” And it was in the midrange that the Minuet Supreme Pluses were so remarkable. They revealed the timbral characteristics of the various instruments on high-quality recordings with excellent imaging. Their overall tone was musical, honest, and never too bright -- unless the recording itself was. However, when I fed the Minuet Supreme Plus well-recorded material, I was rewarded. The Polish ensemble Arte dei Suonatori performs baroque works on period instruments, and English violinist Rachel Podger joined them to record 12 violin concertos by Vivaldi (he wrote more than 200), released as La Stravaganza (SACD/CD, Channel Classics CCS SA 19503). The music alternates between raucous, even cacophonous fast movements and the sweet, pure string tone of the slow movements. Podger and Arte dei Suonatori create a very tight ensemble, with a sound more complex than the solo recordings cited above. Never congested, the whole is greater than the sum of the parts, each musician contributing to the blend. In keeping with these historically informed performances (the liner notes list the provenance of every player’s instrument), Podger is more the leader of the ensemble than the soloist or “guest artist.” The result, as reproduced by the Silverlines, was a multilayered sound, with the lead violin and the four parts of the string ensemble forming well-blended chords; and as dynamic changes swept through, groups of musicians were exposed for special attention. The Minuet Supreme Plus conveyed this material in a smooth, musical, exciting, and natural manner. The detail was such that there was no mistaking the authenticity of the performance. Two criticisms: First, the fundamentals of the double bass were missing in action, producing a slight overemphasis of the high end, with the bass rendering a solely percussive performance. While the highs may have been a bit too prominent -- an issue in much of baroque music -- it was never overly bright. What I heard was likely an honest reproduction of what is on the album. Second, the acoustics of the recording venue were difficult to discern. The sound was open, with a good deal of space, but of what was the room constructed? The liner notes tell me that La Stravaganza was recorded in Gościkowo-Paradyż Abbey, in western Poland, built in the 14th century. I would like to have heard a characteristic acoustic: musical sounds reflected off stone walls. In the absence of more information about the venue, I generally find music to sound less authentic and less engaging because I know I’m not there. To evaluate a speaker’s handling of congestion and dynamic range, there’s nothing better than large-scale orchestral works. I turned to Claus Peter Flor and the Malaysian Philharmonic’s recording of Smetana’s Má Vlast (24/44.1 FLAC, BIS/eClassical), a work I’d heard earlier that day at a concert by the Monterey Symphony. This symphonic tone poem, completed in 1879, is all about nationalist revival: folk tunes, legends, anti-establishment hymns, the uncorrupted authenticity of the countryside. The Minuet Supreme Pluses painted a remarkably vivid portrait in the most popular movement, Vltava, which, in describing in sound the flow of the river and life along its banks, exhibits enormous dynamic range and a variety of instrumental voices. Rising from silence, motifs in the flutes and clarinets represent the two sources of the river as they alternate and eventually flow together in the broad, well-known theme. Along the banks we hear hunters (French horns), a wedding polka (strings), a moonlight nocturne, and raging rapids (full orchestra). Then, almost in mirror image, the majestic theme, having risen, fades to nothingness. I had to crank up the volume -- my apartment’s noise floor is not particularly low -- but the Minuet Supreme Pluses admirably kept up with all the dynamic shifts. The instruments sounded distinct and appropriately positioned, their tonal characteristics accurately rendered. Despite the music’s complexity, there was no hint of confusion or congestion in the sound. The little Silverlines did need a bit of power to come into their own, regardless of the stated design goal. That said, they sounded good with low power but better with more power, especially playing symphonic works. 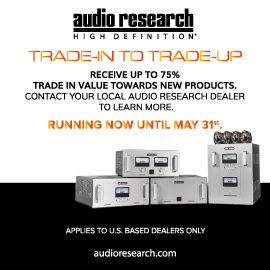 Don’t be shy about turning up the volume -- you’ll be rewarded. The sound was quite engaging as I followed the interplay between the different sections of the orchestra, and the melodies as they moved around the soundstage, all revealing the music’s rich textures in chords built across several different tonalities. Nonetheless, I couldn’t help feeling that something was missing at the low end, which was lower in level than it should have been. I could feel it percussively, but without the exceptional tonal detail the Silverlines exhibited throughout the midrange. It was time for some nonclassical music. There are many distinctive fiddling styles. Canadian Natalie MacMaster plays in the style of Cape Breton, Nova Scotia, which is heavily influenced by Scottish traditions. Compared to American bluegrass, Cape Breton fiddling is marked by highly accented upbow figures, with the downbeat on the shortest element of the rhythmic pattern (sixteenth-dotted eighth), aka the Scotch snap. In live performance, fiddlers accentuate this further by stomping their heels on the downbeat; on MacMaster’s studio album In My Hands (SACD/CD, Rounder 11661 7025 6), percussion takes on the role. Cape Breton ornamentation also has some features reminiscent of the highland bagpipes, with pitch doubling and droning. In MacMaster’s “Welcome to the Trossachs” I can hear the controlled ricochet with enough clarity to distinguish when her bow moves against the string from the string against bow, open-string drones, the Scotch snap, “unslurred” turns, and the dance-like rhythms that typify the genre. MacMaster is accompanied by guitar, piano, Hammond organ, bass, and percussion, but her violin is clearly the focus. The attacks are crisp and clear, with a real bite on the strings, something I always hear when playing violin but that doesn’t always come across during playback through speakers. Though MacMaster tends to use the open E (E5) string, it never sounded too bright through the Minuet Supreme Plus, which never had a problem keeping up with the rapid, hard-driving passages; and the instrumental voices fit together well. In the opening passage of “Temptation,” from Diana Krall’s The Girl in the Other Room (SACD/CD, Verve B0002293-36), Christian McBride’s double bass enters in rather muted fashion. While I could hear and feel the rhythm, the notes themselves were too attenuated, lacking in weight, and amorphous. Each of the other instruments -- whose sounds fall more in the midrange -- were portrayed in their own spaces with a crisp, natural sound, with the guitar executed particularly well. Yet it was in the reproduction of Krall’s singing that the Silverlines really delivered. Her voice was smooth and expressive, and realistically placed among the other instruments on the rather broad soundstage: while the girl herself was front and center, the bass sounded hidden away in the other room. Surfacing was the first Sarah McLachlan album I bought (CD, Arista 07822-18970-2). It features her trademark melancholy, emotional singing at the front of a deep soundstage. While Surfacing is more lushly produced than McLachlan’s earlier albums, the Minuet Supreme Plus delivered the raw, airy quality of her voice, particularly in “Building a Mystery” and “Do What You Have to Do.” The ensemble was presented tightly, with her voice sounding as if she were seated at the piano. I found the electric bass supporting McLachlan more acceptable than the acoustic bass supporting Krall, though both were deemphasized owing to the Silverline’s attenuated low-end extension. Eric Clapton’s 461 Ocean Boulevard (SACD/CD, Polydor B0003638-36), a much older recording than any of the others cited here, required that I turn up the volume quite a few notches before it came together. The Minuet Supreme Plus precisely reproduced the bent notes in the ballad “Please Be With Me,” the clean cymbal splashes in “Motherless Children,” and the shimmering “Let It Grow.” As presented by the Silverlines, this became a rather mellow album -- even “Mainline Florida” didn’t have much drive -- but the ballads were quite enjoyable. I reconnected my Wharfedale Diamond 8.2 monitors ($299/pair, discontinued), listened to many of the same musical selections, and winced when I heard the reduction in detail. Although the Wharfedales are bigger and heavier than the Silverlines, with more low-range extension, they can’t reach the deep bass either. With either set of speakers, a subwoofer may help to ameliorate the lack of low bass. My sub, a Wharfedale PowerCube 10, is designed for home theater and isn’t musical enough for this application; it should be considered for sound effects only. Listening to the Wharfedales was a big step back. In the areas of the audioband they could reproduce, the Minuet Supreme Pluses did a much better job. By comparison, the Wharfedales sounded amorphous, with imprecise imaging and a lack of resolution or details about the instruments, even if their additional bottom-end extension began to hint at recording venues. But rhythmic patterns lacked crispness and were rounded off compared to the Silverlines. While the Wharfedales had a wider sweet spot in the listening room, it was never as sweet as the Silverlines’. Likely due to their low-bass extension, the Wharfedales seemed louder at the same power level; Clapton’s “Mainline Florida” had notably more energy. Yet generally, even in the lower bass, I preferred how Silverline has handled the low-end rolloff. To my ear, it sounded more precipitous, and thus didn’t attempt -- and fail -- to deliver lower pitches. I also had on hand a pair of Infinity Primus P162 speakers ($318/pair, discontinued) that were punchier in the low mids and generally less balanced across the audioband than either of the other two. The Infinitys tended to overemphasize the percussive qualities of instrumental lines, exaggerate soundstage width, and sound too bright and brittle. While both the Wharfedale and the Infinity went lower than the Silverline, it wasn’t a worthwhile tradeoff -- most of the music is in the midrange. Given the choice, I’d go for the Silverline’s midrange detail over lesser detail with bass extension. Overall, I was quite pleased with the Minuet Supreme Pluses, which lived up to Silverline Audio’s reputation (the SoundStage! Network has positively reviewed many of the company’s products over the years). Despite their diminutive size, these minimonitors provided a wealth of musical information. They could run at low power, but really came into their own when I turned up the volume. Their imaging was precise, and their midrange reproduction was especially clean, with natural renderings of instrumental timbres even when reproducing recordings of complex works. The Minuet’s only drawback was its limited low-bass extension -- even if they dove deeper into the low mids than a glance at them might lead one to expect. Such a drawback is to be expected in a minimonitor; Silverline makes larger speakers that don’t suffer from this, and that excel with high-quality recordings that contain further layers of detail to explore. 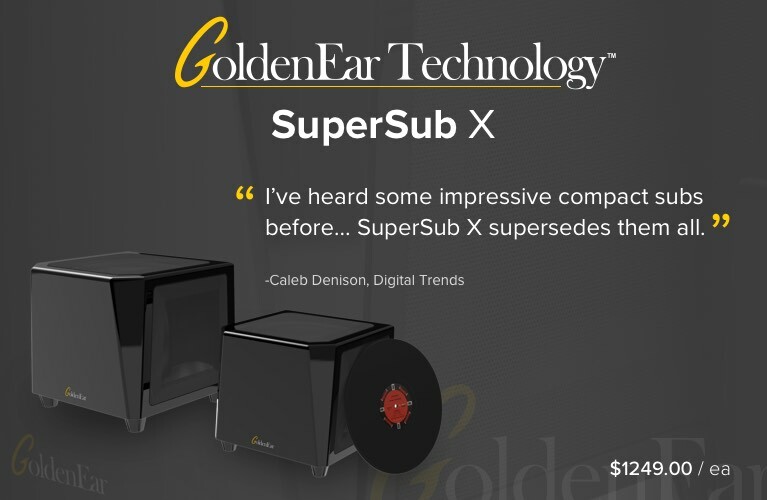 But with their faithful midrange reproduction, accurate imaging, and small size, the little Minuet Supreme Pluses could easily find a niche as hi-fi replacements for computer speakers, as well as in traditional stereo, multichannel, and home-theater systems.